Following on from the exceptional platform created by original owner Stephanni Richards, Louisa purchased Ripple Effect Gifts in 2018 after being moved by the concept behind Ripple Effect Gifts – the idea that the giving of a gift can create a ripple effect of love, kindness and generosity. Offering a unique and imaginative gift hamper service through the “Build Your Own Hamper” range, Ripple Effect Gifts offers a product range that includes an exciting and innovative range of gifts, as well as a broad range of high-quality and locally sourced food and beverages. 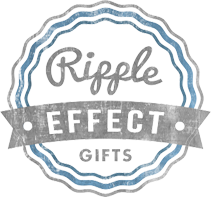 Louisa and all at Ripple Effect Gifts pride themselves on offering quality products and good old-fashioned customer service. It is a delight to create luxury gift baskets for corporate gifts or individual customers. Louisa is a strong advocate for local business, and is passionate about supporting those in small business. All products are carefully researched before inclusion in the product line, with suitability for transport ensured. Ripple Effect Gifts offer daily delivery of gift hampers to Geelong, Ballarat, the Bellarine Peninsula and the Surf Coast. Spend $150+ for free delivery. For queries, gift basket variations or if you would prefer to place your order by phone, contact us today.